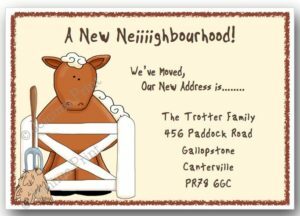 The standard wording on this design is: Our New Address is……. 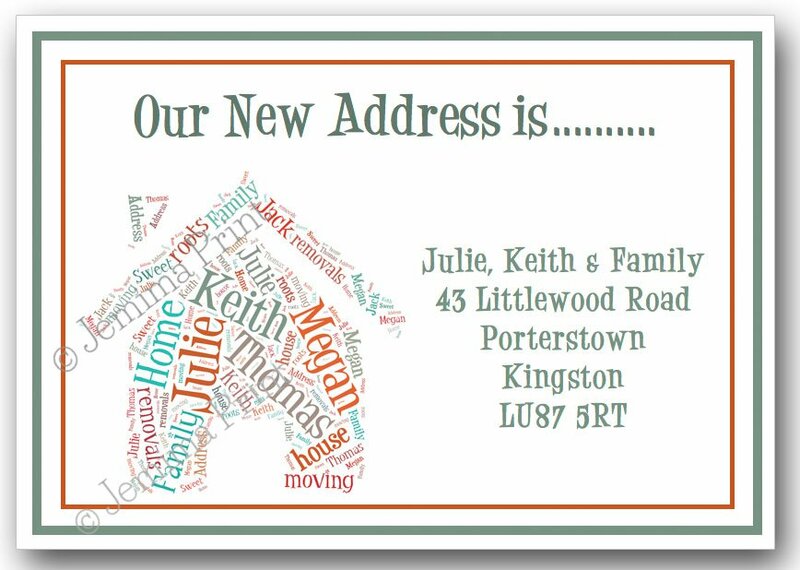 (names and address details) A phone number can be included if required. 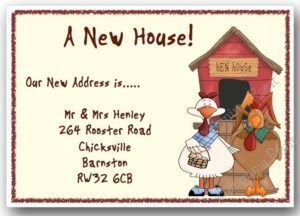 Please send me the name and address details to personalise your cards via “order notes” at the checkout. 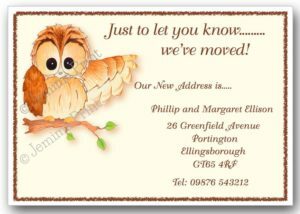 * PLEASE NOTE – The image on the listing is an example only, your image will be created personally for you. 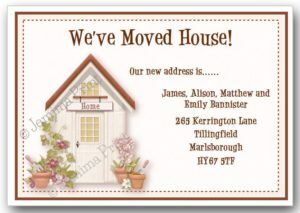 You will need to provide the Christian names that you would like including in the image. The layout of the words and placement of the colours in the image will vary – though the colour palette will remain the same.